Listerine is known as a mouthwash, but I bet you didn’t know it could be used for a lot more. But first, how did it even come about? Dr. Joseph Lawrence invented it and named it after Joseph Lister, an English doctor and surgeon. In 1865 (! ), Lister was the first surgeon to perform an operation in a chamber that had been sterilized with pulverized antiseptic. Mortality rates went down, and, in 1879, Lawrence decided to create Listerine to kill germs in tissue, i.e., the sort in our mouths. 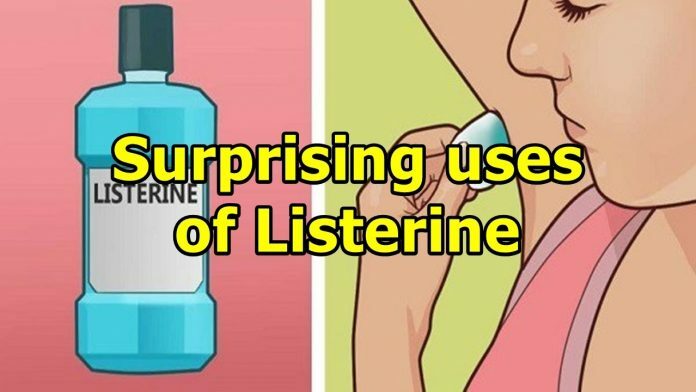 Here are 10 uses for Listerine that you may not have known about before. After you read the below, you’ll want to keep a bottle handy at all times. It turns out that Listerine actually helps fight underarm odors. If you pour some on a cotton ball and gently dab it on your underarms, you can use it as a replacement for some deodorant if you’re in a pinch! Did you know that you can use Listerine to get rid of toenail fungus? Well, according to Top 10 Home Remedies, you can! Just pour some Listerine into a foot bath, let your toes soak in it for around half an hour and you should have clean, minty toes again! If you’re still fighting the fungus after the Listerine bath, it is recommended to try mixing a bit of white vinegar into the Listerine to give it a bit more strength for those notorious cases. Your toes will thank you! 3. Clean your toilet bowl with it! 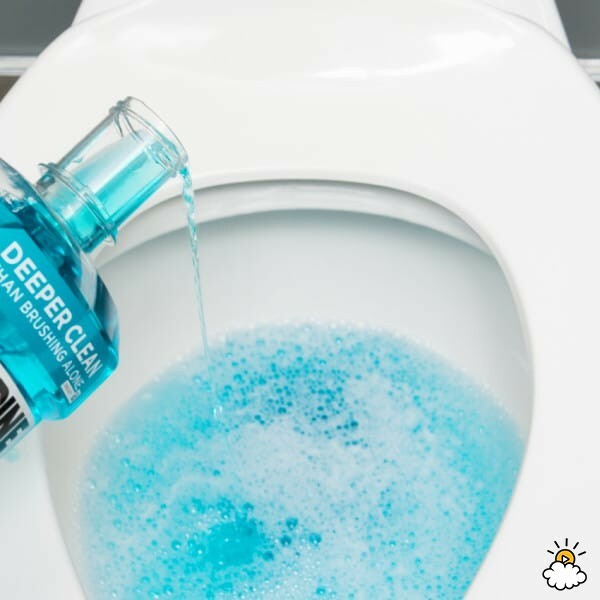 It might seem like you are throwing money down the toilet, but Listerine can actually clean and deodorize your bowl. All you have to do is pour a little in and use your toilet brush to give things a light scrub. Next articleDisney’s Black Diamond VHS Tapes Are Worth Thousands-Fiction!